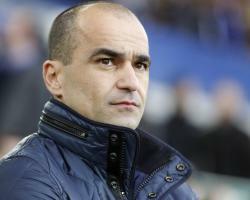 Everton manager Roberto Martinez has reiterated his belief the club's season should only be assessed at the end. Martinez has faced, and rejected, accusations this term his side are underachieving. But last weekend's 3-2 home loss to West Ham appeared only to add further validity to such criticism of the Toffees, who are 12th with 10 games left in the Barclays Premier League and were beaten in the Capital One Cup semi-finals. 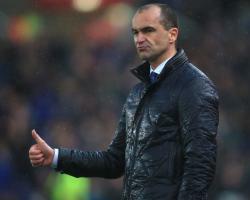 Ahead of Saturday's FA Cup quarter-final against Chelsea at Goodison Park, Martinez was asked once more for his thoughts on suggestions Everton should be doing better than they are given the talent in their squad. "At that point, you can look into very specific details – how you have been on the ball, your attacking work, what you have done defensively, what you have done away from home, what you have done at home. "You can go into every single detail – nowadays everything gets recorded and the stats are there. "But, clearly, if you want to assess any season, you have to wait until the end." Many may argue Everton's season will be as good as over this weekend if they lose – as they have done in three of their last four home games, and in seven home league matches overall this season. Martinez acknowledged before the West Ham defeat that the Toffees' results on their own turf have not been good enough. But he has also spoken in a confident manner about the prospect of his side – who it is expected will be watched from the stands by the club's new investor Farhad Moshiri – rising to the occasion on Saturday. "The squad has always reacted with bravery and responsibility," Martinez said. "We are looking to make sure we embrace being in the quarter-finals of the FA Cup. "We have already been to the semi-finals of the League Cup, which I think gives us the inspiration to be able to perform well at this sort of stage of a competition." Everton did record a home victory in September against a Chelsea side who have had a troubled campaign themselves. Since that last visit to Goodison Park the London club have changed managers, with Jose Mourinho being replaced by Guus Hiddink – the man who guided them to an FA Cup final victory over Everton in 2009. Hiddink has helped revive Chelsea this season, although they did suffer the second defeat of his current tenure on Wednesday when a reverse against Paris St Germain sent them out of the Champions League. Martinez said: "It depends how you want to look at it – if you are being pessimistic (from Everton's point of view), you'll say Chelsea will now be focusing on the FA Cup. "If you are being optimistic, you'll say maybe they won't have a feel-good factor after Wednesday's result. "The reality is they are an outstanding team and we all know what they have achieved since Guus Hiddink has come back. "I think we are both looking forward to this footballing occasion and we know it's a very important opportunity for both clubs." The Toffees again squandered a lead last weekend as they lost 3-2 to West Ham, the third Barclays Premier League match this term they have failed to win after holding a two-goal advantage and their seventh home loss. The current squad is widely regarded as the most talented Everton have had in a generation. 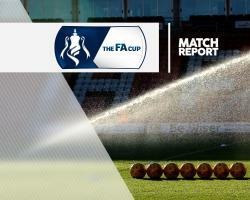 But with them 12th with 10 fixtures left in the league and having exited the Capital One Cup in the semi-finals, the FA Cup appears their only opportunity remaining to achieve any real success in 2015-16. Everton host Chelsea in the quarter-finals on Saturday, a game which Martinez – the target of considerable criticism from supporters this season – insisted at Thursday's pre-match press conference he does not see as "make or break". But when asked about fans' frustrations, the Spaniard said: "When you see the work of the players and then you don't get the rewards you deserve, it is painful. "I think we were all in the same boat (after the West Ham game). "We've seen outstanding signs this season and that is why it is so frustrating to see in games where we are winning, we throw it away. "That is why it is so important for us to look forward to this quarter-final, and the rest of the season. "I just feel this is where we really need to take all the pain and experiences we had this campaign in a good way and get the rewards our performances have deserved." "We have the advantage of playing it at Goodison, and we could achieve something really special. "After what we had to go through this week, it is the type of game we want to use to our advantage." Winger Aaron Lennon (hamstring) is a doubt for the game, along with defender Bryan Oviedo, who was in hospital on Wednesday with a chest infection. 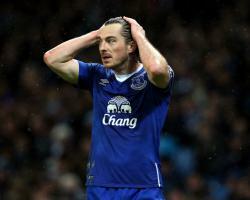 Left-back Leighton Baines has been receiving treatment on an ongoing ankle problem but could come in for Oviedo, while Martinez expects midfielders Gareth Barry and Tom Cleverley, also recently suffering with illness, to be available. On Tuesday it was announced that Farhad Moshiri's investment in Everton had been approved by the Premier League, giving him the go-ahead to complete the purchase of a 49.9 per cent stake. We are all really looking forward to seeing that chemistry with the fans and welcoming a new Evertonian into the family." The next step, I am sure, is Mr Moshiri is going to fall in love with Goodison Park and our fans. "And from that point on, I'm sure we will get a working relationship." Following a meeting of the 20 member clubs in February, it was decided more needed to be done to help travelling supporters, who face increased costs to attend matches across the country, but also help make a unique atmosphere. The new measures will replace the Away Supporters' Initiative, which was introduced in 2013 and saw clubs individually implement a range of measures, including travel subsidies, reciprocal pricing and reduced admissions as well as improved facilities. The £30 cap will run from the start of the 2016/17 campaign through to 2018/19, a period which will see the Premier League clubs receive record revenue (£5.14 billion) from broadcasting deals. "Away fans have additional travel costs and pay individual match prices, as season ticket and other discounts are not available to them and the responsibility for them is shared between clubs and therefore it is right that there is a collective initiative to help them." Arsenal have often come in for criticism given their high ticket prices in some sections of the Emirates Stadium, for both home and away supporters. The Gunners have announced additional measures to follow on from those of the Premier League collectively, which will see a further reduction in attendance costs for fans. All general admission season ticket and match ticket prices for the next two seasons have been frozen, while Arsenal will also provide a further £4 discount for its away supporters attending Premier League matches in addition to the £30 cap. A club statement added: "This will ensure no Arsenal fans will pay more to support Arsenal at Premier League away games than the lowest priced £26 ticket that both visiting and home fans can pay to watch their teams at Emirates Stadium." "Once it became clear this would not receive enough support across the Premier League clubs, we supported and directed the funds to the £30 cap plus an additional £4 ticket discount for Arsenal's away fans." Everton have welcomed the Premier League's news and say they have worked hard to find a better deal for their fans. 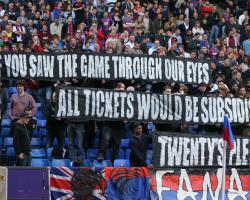 "Most clubs have recognised for some time that we need to do something for the travelling supporter. It is absolutely right that football, as a family, looks after that group of fans. "Our away fans are among the most dedicated and committed throughout the Premier League and that loyalty is deserving of this commitment by the clubs." Liverpool fans group Spirit of Shankly have been among the leading voices in the campaign for cheaper tickets. It's good to see the Premier League have now finally taken action on this very important issue that we have been asking them to take action on for the last three or four years. "There has been frustration it has taken so long but we are just pleased they have now taken this action. We have been saying the price of away tickets was too much and this new TV deal presented them with an opportunity to lower them. "They have finally listened and I think most supporters will be pleased that has happened. I think it is a recognition of how important supporters are. I think it is a really positive step." Everton boss Roberto Martinez has stressed the two are set to play major roles for the club between now and the end of the season. Ankle surgery has meant Baines did not make his first appearance this term until December, and the 31-year-old full-back has recently been spending time on the bench, with his last start coming in late January. That was also the most recent time Stones was part of the first XI, the 21-year-old centre-back initially being sidelined by a hamstring issue and then joining Baines among the substitutes for the last two games. With only two goals conceded and five wins registered over the last six matches, Everton have fared quite well without the pair, who are looking to be part of England's Euro 2016 squad. However, Martinez – while revealing Baines is to see a specialist over continued ankle pain but still likely to be available for Saturday's home clash with West Ham – has emphasised both men are "vital" for the Toffees. "Those two are vital for our future plans and for us to be successful from now until the end of the season, they are going to be a big part of that," the Spaniard said. "With Leighton, we have a little bit of a worry – he has been carrying a little bit of a niggle in his ankle and we have to make sure that gets right. "Since the surgery, it has been giving him a little bit of soreness and managing that pain at times has been a little bit difficult. "When he came on against Aston Villa (on Tuesday) he felt at times he had to play through the pain, and we have to make sure we solve that, because it is very unfair on Leighton. "We will see a specialist, but it shouldn't stop him from training. "John is still a very young man who has already played the biggest amount of minutes he ever has in his professional career. "So it's important he is fully refreshed and ready for the final push in the campaign. "He is a very important footballer for us." Baines' fellow left-back Bryan Oviedo is to be assessed ahead of Saturday's Barclays Premier League contest after sustaining a knock in the 3-1 win at Villa, along with midfielder Tom Cleverley, who missed that match due to illness. Muhamed Besic and Darron Gibson could also make their returns to action in the game. The visit of West Ham will be the first home fixture Everton have had since it was announced billionaire Farhad Moshiri was acquiring 49.9 per cent of the Goodison Park outfit. Martinez has reiterated it is an exciting development for the club, while stressing they are not losing anything in terms of their "soul"
He said: "This is a really exciting time for us, one of the most significant moments off the field that has happened for Everton and a really important time for our future. "This is going to be the first home game and I'm sure Mr Moshiri will be around with our fans very soon, and everyone will get to know him. "What is important is we haven't lost anything in terms of the soul of our club. The chairman (Bill Kenwright) is going to be very important in terms of advice and experience. "I don't think he (Moshiri) will be there on Saturday, but he may be there for one of the next three games." 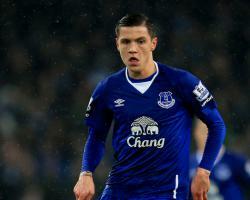 Everton midfielder Muhamed Besic has signed a new five-and-a-half-year contract with the club. The Bosnia international, who joined from Ferencvaros for Â£4.8million in the summer of 2014, has been rewarded for some impressive displays this season. Besic had already this season triggered a clause in his existing contract which entitled him to a 12-month extension by reaching 25 Barclays Premier League appearances for the club but Everton manager Roberto Martinez was keen to tie the player down to a much longer term. It is more good news for the club in the wake of the weekend's investment by Iranian billionaire Farhad Moshiri, who bought a 49.9 per cent stake in the Toffees for a reported Â£85million. Utility man Bryan Oviedo signed a new contract earlier this month while Everton are also hopeful of tying down Ross Barkley to an improved deal this summer. "After a year and a half with the club it makes me proud that they have given me a new deal." The supporters, as well as the manager, the staff and my team-mates, have all made me welcome at the club and I feel really happy. It was clear that I wanted to stay and sign the new contract. "When people look at my game, before and now, I think I have improved a lot in many different areas. "But I am still adapting to the league and I will continue to work hard and give my best." Besic, 23, is currently working his way back to fitness from a hamstring injury and while he will not be involved in Tuesday's match at Aston Villa he has a chance of returning to the squad for Saturday's visit of West Ham. Over the weekend the Iranian is believed to have agreed to pay about Â£85million for an initial 49.9 percent share, pledging to plough significantly more into the club's transfer dealings and infrastructure. With money behind him – something few Everton managers have been blessed with – Martinez will be expected to deliver better results than he has this season with arguably the best squad in a generation. 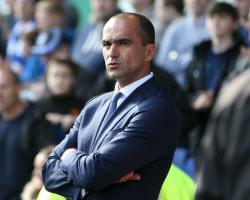 Champions League qualification will now become even more of a focus but Martinez, whose side are currently 12 points adrift of the top four with a match in hand, is happy to operate under those expectations. As a manager I didn't arrive at Everton saying 'I hope I can stay here six or seven years and go through the motions'," he said. "I set the bar really high, I wanted a winning team and I wanted to get into the Champions League and that is still the case. "With a new investor and fresh blood into our club all of a sudden you have a new opportunity to get to those aspirations quicker. The chairman and myself will embrace that pressure and that need of delivering the right outcome as we have a strong belief in what we are doing. It is a big moment in the club's history with a new investor coming in. "The vision Moshiri is sharing will take Everton to the next level – and every single department will be assessed." New money means Martinez should be able to operate more competitively in the transfer market while hopefully also being able to reward existing stars like Ross Barkley, John Stones and top scorer Romelu Lukaku with improved contracts. However, he believes it is what Moshiri will bring to the club in general which will have more of an effect over the longer term. "It is not just how much money you can spend because in the Premier League, with the new TV deal, you will have money to spend," he added. "It is creating a club that players want to come to as they feel they can reach their potential and win things. I hope I have a billion pounds to spend in the summer – that would be very nice – but I don't see that as the success of bringing Farhad into the club. "It is more what we need in the next five, 10, 15 years in terms of creating the perfect club for a player." Moshiri, whose net worth is estimated at Â£1.3billion, previously had a share in Arsenal with business partner and friend Alisher Usmanov. Martinez believes that will be advantageous to them because they are welcoming someone who has Premier League experience. "I met Moshiri and the impression I got was of a gentlemen with values who knows the Premier League inside-out," said the Catalan, ahead of Tuesday's trip to Aston Villa. I think he has fallen in love with what Everton means. As a human being and as a winner Moshiri is the perfect person to come into Everton. "He is someone who has a terrific winning vision and it is something for every Evertonian to be excited about." Muhamed Besic has signed a new five-and-a-half-year contract. The Bosnia international, who joined from Ferencvaros for £4.8million in the summer of 2014, has been rewarded for some impressive displays this season. "I'm really happy to have signed a new contract with a club such as Everton," Besic told evertontv. "When I first arrived here it was difficult for me but now I feel at home. The supporters, as well as the manager, the staff and my team-mates, have all made me welcome at the club and I feel really happy. "It was very easy when I heard about it. It was clear that I wanted to stay and sign the new contract.